The realization that music ownership as we knew it was soon to become redundant in favor of streaming services came to me when I signed up for Spotify in early 2009, when they opened up public registration to their free service. At the time it was only available in the UK, and I was fortunate to be living in London. Although I had my entire music collection on my iPod Classic at work, I found myself primarily listening to music on Spotify. Despite the conspicuous absence of some favorite bands like Metallica, AC/DC and Led Zeppelin, Spotify offered a vast selection of old and new music, all for free! It was a revelation. Five years on, music streaming has matured and Spotify has many competitors. There is no lack of all-you-can-eat subscription services for around $10 a month with features mobile apps and offline listening. Some of the more popular ones are Google Play Music, Rdio, Sony Music Unlimited, Xbox Music and the one that has been in the press a lot lately after its acquisition by Apple, Beats Music. Additionally, there are services like SoundCloud that allow emerging and unsigned artists to upload their music for free consumption. The economics of streaming services from the perspective of the consumer are incredible. We not only have access to a virtually unlimited selection of music but at a fraction of our “willingness to pay”. Thanks to long tail economics at work, we have already become accustomed to having access to a large selection of music when purchasing over the internet, whether buying physical CDs from Amazon or downloading music from iTunes. But $10 only gets you 10 songs on iTunes or half a CD on Amazon. For the same price, a subscription gives you virtually all the latest music. 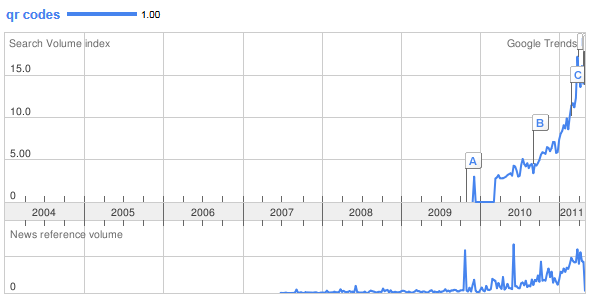 For example, Spotify adds 20,000 tracks per day (though not all of them are new). As a comparison, the majority of the music that I own is a collection of around 200 CDs bought over a period of nine years. At $20 per CD that equates to an expenditure on music of approximately $40 per month, for a grand total of around 3,000 tracks, most of which are album fillers. However, despite all the goodness, the experience of playing music suffers from some major problems. It is safe to say that the majority of users listen to music from multiple sources. For example, I have playlists on Spotify and SoundCloud as well as music that I own (lossless versions of which are sitting on a NAS drive, and compressed versions uploaded to Google Play Music); that’s four different places. But there is no way to seamlessly mix and match music from multiple sources in a single playlist. Ok, that’s not quite true; there is one service that does allow this, but in a limited manner. More on that later. The ability to buy individual tracks on iTunes meant that playlists replaced albums as the de facto collection of songs that get played in one go. Music was freed from albums. Now it needs to be freed from music services! With very few exceptions, all music available for download and streaming on the internet — the de facto mode of listening to music today — is compressed and is significantly inferior to the original recording. This is a real disservice to the music. Lossy codecs like MP3 trade storage and transmission efficiency for audio quality, which is fine for listening to an iPod with crappy Apple earbuds, but doesn’t cut it for proper music listening on decent equipment. Storage and bandwidth are so cheap today that the we don’t really need to make this compromise any more. In fact there has been the recent emergence of “high resolution audio” which offers significantly better quality than CDs. I haven’t been able to come up with a compelling solution that I am completely satisfied with (hence this blog post), but the situation isn’t completely hopeless either. The solution that comes the closest to satisfying these requirements is Sonos. The Sonos Connect (and Sonos speakers) can play music from most major music subscriptions services (most notably Spotify and Google Play Music) and lossless music from my NAS. Using the latest version of their Controller app, I can create playlists that span multiple sources. Kudos to Sonos for this innovation! I must say they are doing a tremendous job of creating a highly compelling experience for listening to music at home. Trouble is that even though Sonos has smartphone, tablet and desktop apps, these apps are only controllers that control Sonos devices. I can’t play my Sonos playlists on the go (on my smartphone) or at work (on my laptop). My appeal to Sonos is: Please enable playback on your Controller app and cement Sonos the one-stop experience for music not only in the home but also outside it. Yes I can’t expect to have files on my NAS drive be playable everywhere, but I would happily stream those files using Google Music (discussed next). It would be possible to build a player if the likes of Spotify and Google created APIs like SoundCloud and Rdio have done. Google Play Music lets you upload up to 20,000 of your own songs for free, which is a compelling reason to switch from Spotify since I could then create playlists by mixing and matching tracks from their subscription service and my own uploaded music and listen to them anywhere. However, lossless files are transcoded to MP3 so the downside of this would be that I would have to live with lossy compression. My appeal to Google is: Please allow lossless uploading of music and charge for it if you must. Qobuz is a CD-quality streaming service based in France. It is supported by Sonos. It’s only available in certain countries in Europe currently, but hopefully it will be available in the US soon. Looks like a European startup is once again leading the charge in music innovation. Finally, there are several services that let you buy lossless music, most notably HDtracks and Murfie. Murfie also has an interesting service whereby you send them your CDs and/or vinyl they rip them into lossless files which you can stream or download. They don’t yet offer a lossless locker service for music that you have ripped already. I still haven’t quite figured out what the best compromise is going to be but I am leaning towards moving from Spotify to Google. Spotify, if you’re listening, please offer a locker service for owned music with lossless streaming. In case you missed it, Microsoft and Nokia announced a strategic mobile partnership in February a few days after Nokia CEO Elop’s scathing memo to employees. The fact is that the Windows Phone Metro UI offers a very slick user experience. And in light of the Nokia/Microsoft partnership, I expect Windows Phone share to rise significantly as Symbian/Nokia users move to Windows Phone, especially in the mid-range and low-end markets. Want to get a head start in developing applications for Windows Phone? My company Infragistics recently announced a Community Technology Preview of data visualization controls for Windows Phone. These let you create powerful mobile dashboards using maps, high performance charts, gauges, sliders and even barcodes, that integrate beautifully with the Windows Phone Metro UI design language. We will also be releasing mobile controls for iOS and Android soon so watch this space! You use a freely available QR code reader application that uses the phone’s camera to take a picture of the QR code and then take appropriate action, in this case install the Firefox app on your phone. If you think about it, QR codes in the “real world” enhance the user’s experience of the real world by augmenting it with digital information. 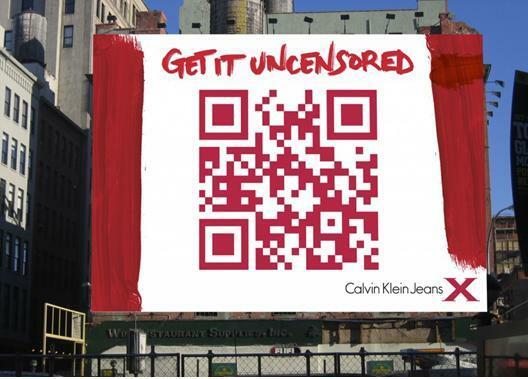 Ultimately then, QR codes are a simple and effective way to achieve augmented reality. For example, if I come across an interesting web page, I bookmark it or save it for later reading using a tool like Read it Later. QR codes can be used in the same way, as bookmarks for the real world. Imagine walking past a restaurant in your neighborhood. If it had a QR code displayed prominently, you could scan it for checking out later. What would be even nicer is if the QR code linked to a website (like JustEat) that allowed you to order takeaway. Fascinated? 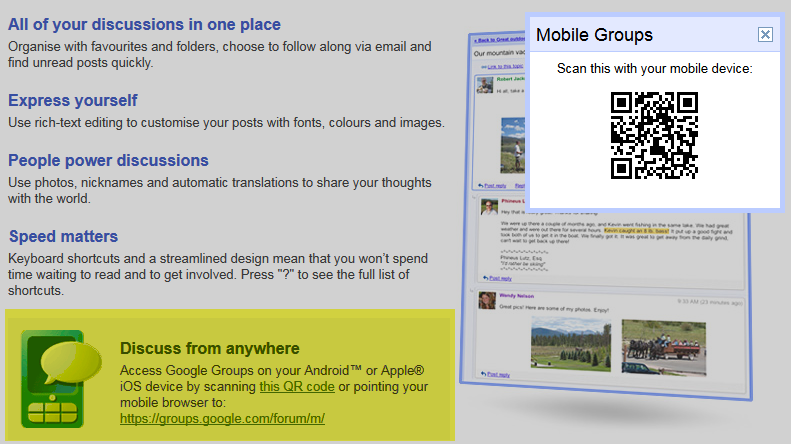 Google “innovative uses of qr codes” to discover more. If you’re wondering how you can use QR codes into your own business, check out my company Infragistics’ QR code generator here: http://labs.infragistics.com/silverlightdv/2010.3/#/Samples/Barcode/BarcodeQRCode. A few years ago if you wanted to develop a web application all you could do was build a classic synchronous web application using plain old ASP.NET, JSP or PHP depending on which camp you were in. 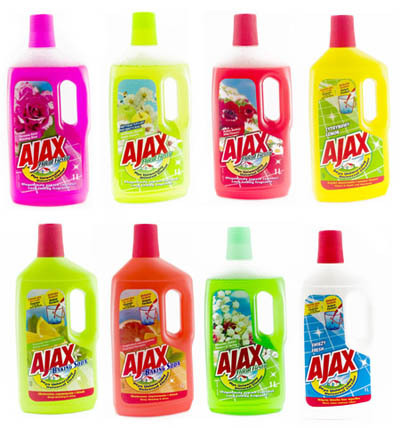 Then along came Ajax and Web 2.0 and changed the landscape. In my last post, I touched on some of technologies that make today such an exciting time to be an Internet developer. On the software-side, AJAX has so far been the primary reason for this, but Silverlight and Adobe AIR are blurring the lines even further. On the infrastructure-side, broadband and faster hardware have been the main catalysts, but access to cheap and reliable server-side computing resources such as Amazon’s S3 and EC2 are giving application developers unprecedented ability to scale elegantly. Throw in to the mix innovative web services from the likes of Google and Flickr and we have a wondefully-rich array of tools and technologies to build web applications with. Now, I’d like to list some types of interesting options for types of applications and tools in this new landscape and point out some interesting developments and trends along the way. If you’re a developer or entrepreneur looking for ideas for your next project (like I am), perhaps this will give you some options you may not have considered. Microsoft Silverlight. Love it or hate it, it’s here to stay. Personally, I think its a brilliant piece of technology and am a big fan of its potential. It brings the advantages of desktop applications (responsive UI, easy to build, local storage, networking) to web applications. There’s also Adobe Airto look at for building RIAs. Until recently, applications on mobiles were disconnected. But, just as your computer seems pretty much useless without Internet access today, mobile phones too will seem pointless without some kind of access to the cloud. 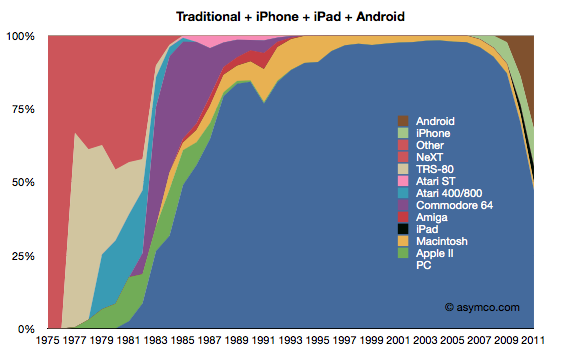 Mobile applications are going to be increasingly web-based. And it seems that Apple is who is going to make it happen. 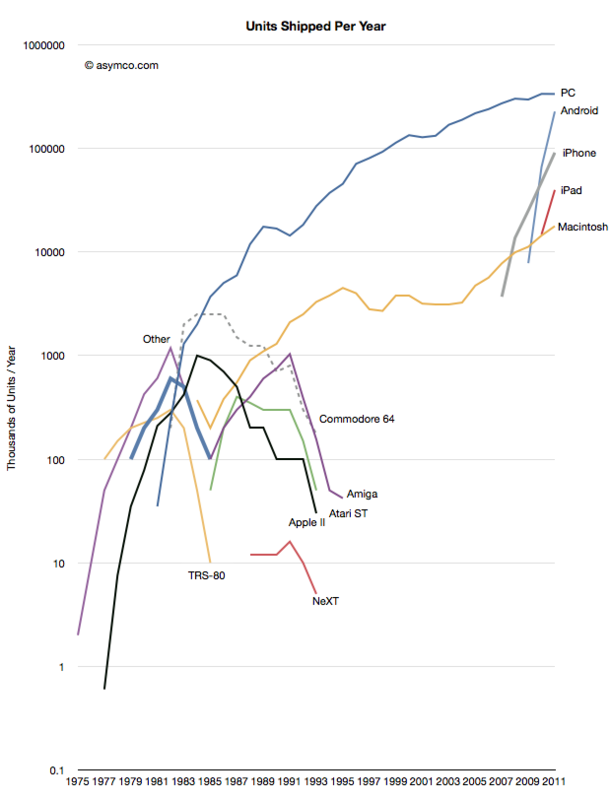 The iPhone has of course set the mobile market on fire sitting at 28% of the U.S. SmartPhone market share only eight months from release, second only to RIM (BlackBerry) at 41% (ars technica). 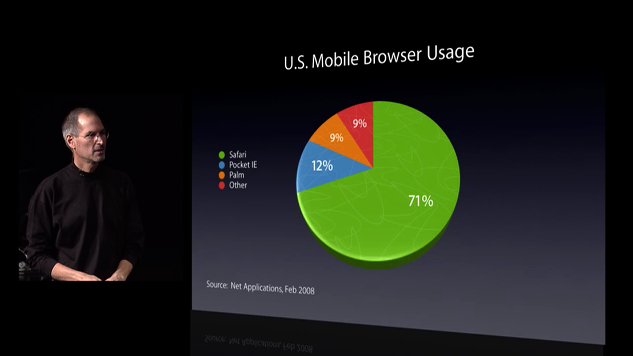 When it was first introduced, there was no SDK to build native iPhone applications – just web applications viewed through iPhone’s Safari browser. A couple of months ago, however, Apple unveiled their iPhone Software Roadmap and released the iPhone SDK. In his iPhone software roadmap presentation, Jobs says, “The iPhone is really bringing the Internet to a mobile device for the first time. You really do have the Internet in your pocket.” And he appears to be right – a whopping 71% of U.S. mobile browser usage is on Safari, followed by Pocket IE at 12%. If you’re thinking of learning Objective C, why not get stuck into it and develop an iPhone app? Another interesting development is Google’s mobile platform Android. Definitely worth checking out. Microsoft’s development platform in this space is ASP.NET for Mobiles. I haven’t used it so not much more to say about it except, go check it out and/or post your thoughts in a comment.